This pertains mainly to load times, but you may see an increase in FPS as well. Next time you run Counter-strike 1.6 or Source try leaving Windows media player idly running in the background (obviously not playing any songs). 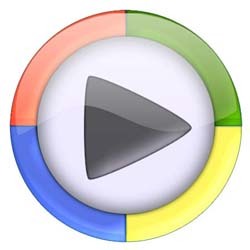 Apparently Windows Media Player will speed up the performance of your computer due to a service that it uses called, "Multimedia Class Scheduler Service". "Multimedia Class Scheduler Service (MMCSS) is a Windows service that boosts the CPU as well as I/O priority of a thread. It allows an application to get prioritized access to CPU for time-sensitive processing (such as multimedia applications) as well as prioritized disc access to ensure that the process is not starved of data to process. The MMCSS service monitors the CPU load and dynamically adjusts priority so that the application can use as much CPU time as possible without denying CPU to lower priority applications." So from the sounds of it, any of you that have already tweaked steam to run in low processor affinity through this tweak guide, may see almost no performance gain. Still, it's worth a shot? Post comments if you noticed a difference in speed.